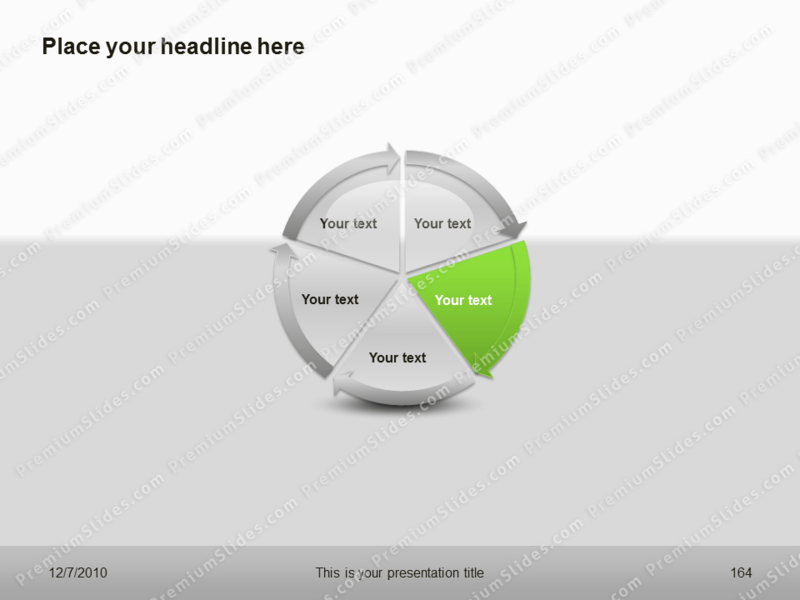 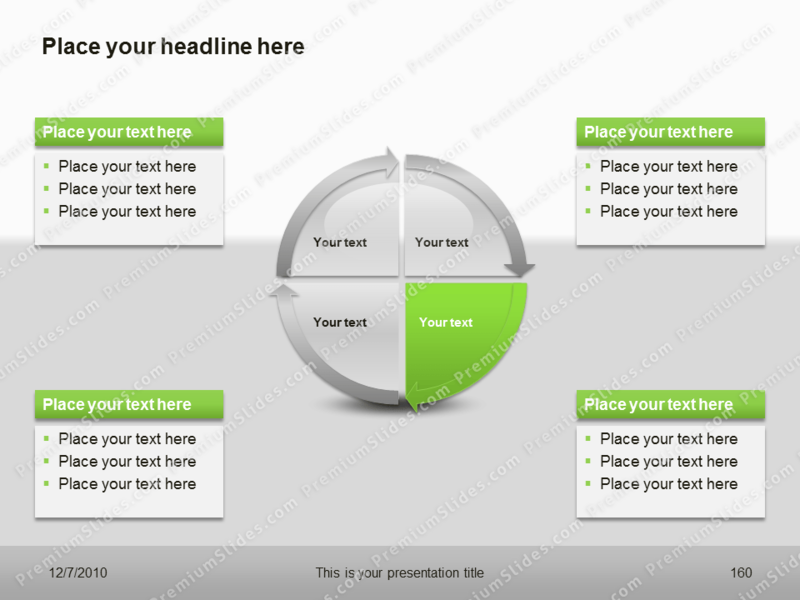 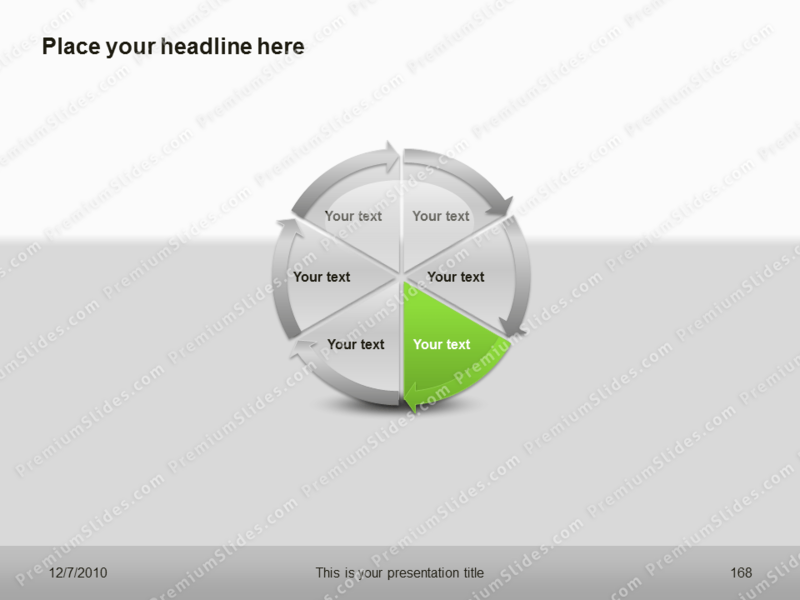 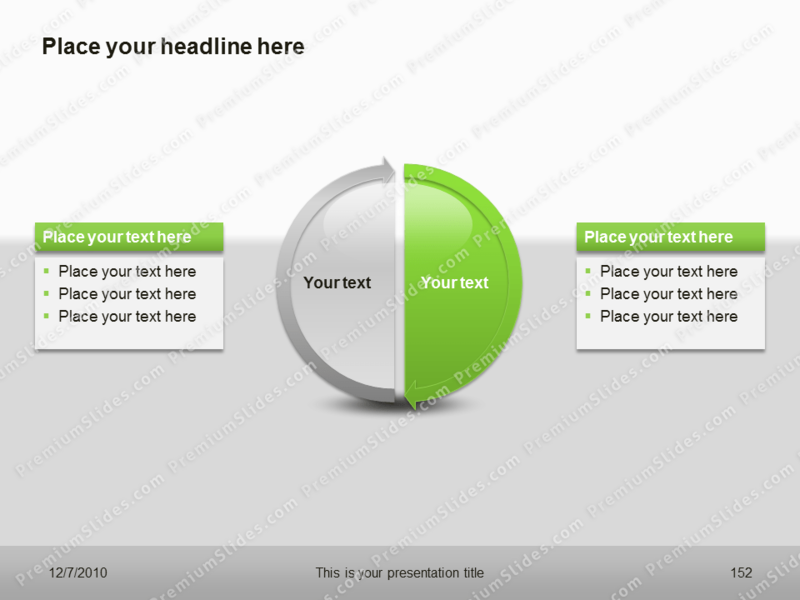 The Premium Cycle Template is designed with up to 6 elements. 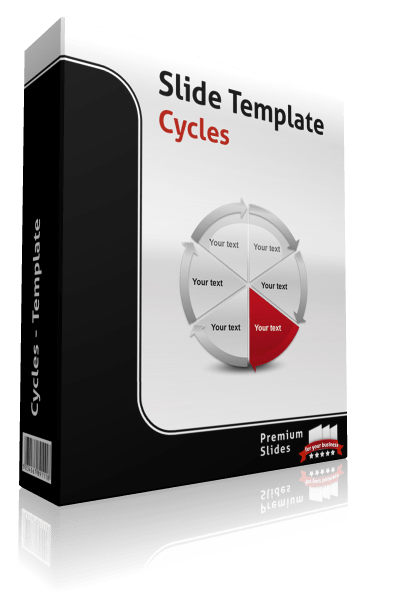 The Premium Cycle Template is designed with up to 6 elements. 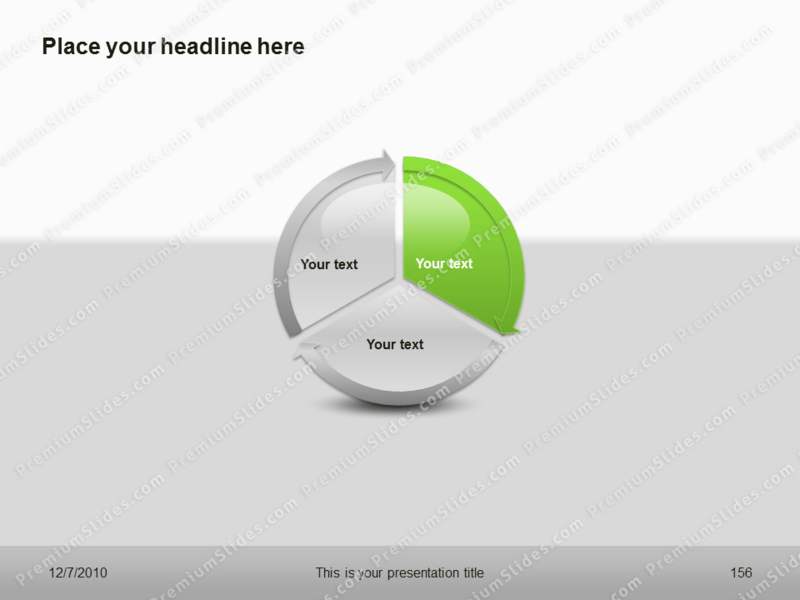 Each element can be edited and includes a text placeholder. 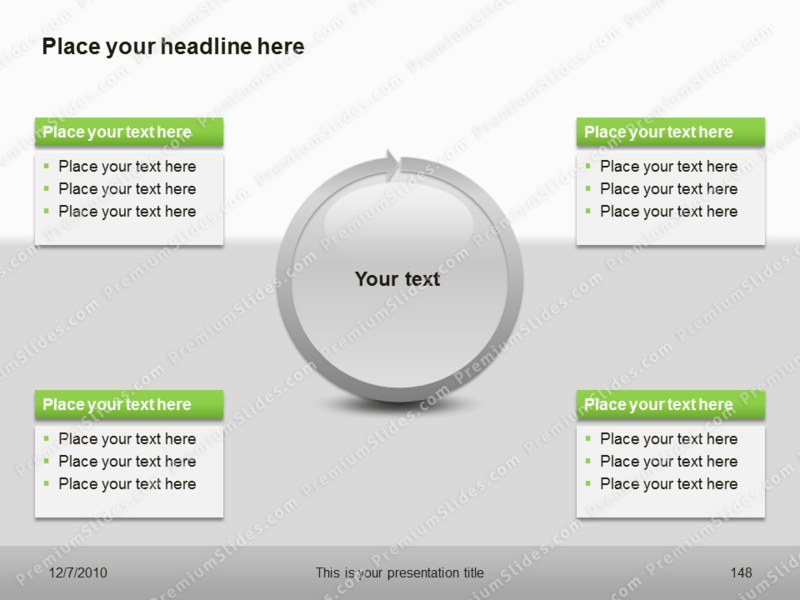 This great PowerPoint template shows processes and returning loops in an impressive way.